Jacob Schwarz, who was President of the Manhattan Young Democrats, was arrested almost 2 years ago for possessing child p-rnography. Schwartz was released on $7,500 bail, and has been free since. In fact, no motions have been filed in his case at all, court records reveal. 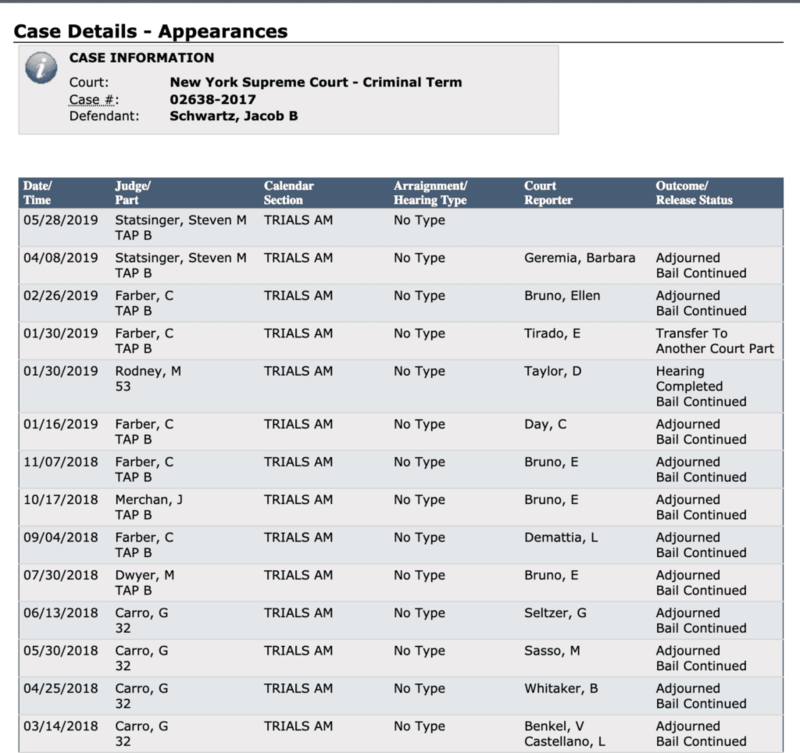 As you can see from the publicly-available docket sheet, Schwarz was charged in July, 2017. Each month a trial is schedule, and each month the trial is delayed. Schwartz is facing up to life in prison for the charges, and he has no credible defense against them. Prosecutors have stalled the case, refusing to force it to trial or demand the defendant plead guilty. District Attorney Cy Vance is facing newfound scrutiny for allowing Jeffrey Epstein to get away with pedophilia. Will yet another well-connected Democrat escape justice?